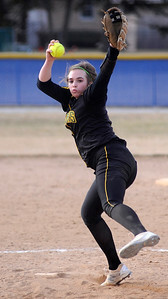 Gregory Shaver for Shaw Media Crystal Lake South's Brooke Kuffel throws a pitch during the second inning of a non-conference softball game against Larkin Friday afternoon, March 23, 2018, at Larkin High School in Elgin. 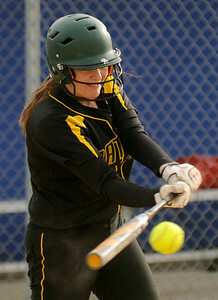 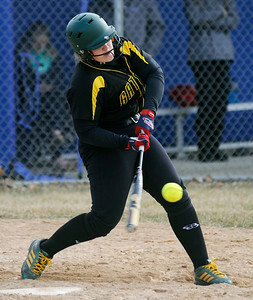 Gregory Shaver for Shaw Media Crystal Lake South's Maddie Bush hits the ball during the second inning of a non-conference softball game against Larkin Friday afternoon, March 23, 2018, at Larkin High School in Elgin. 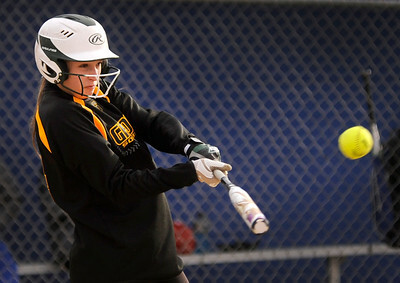 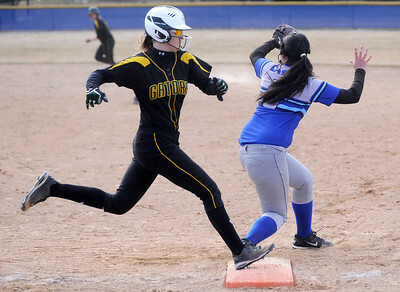 Crystal Lake South's Lauren Schoen connects with the ball during the fourth inning of a non-conference softball game against Larkin Friday afternoon, March 23, 2018, at Larkin High School in Elgin. 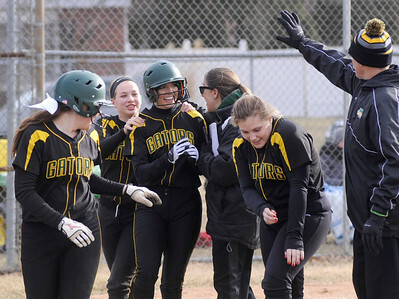 Gregory Shaver for Shaw Media Crystal Lake South players congratulate their teammate, Jade Guida, after she hit a homerun during the fourth inning of a non-conference softball game against Larkin Friday afternoon, March 23, 2018, at Larkin High School in Elgin. 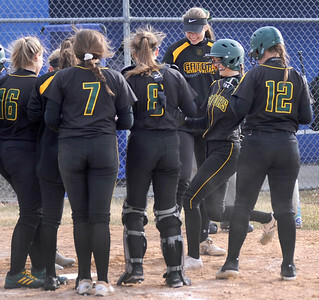 Gregory Shaver for Shaw Media Crystal Lake South players congratulate their teammate, Jade Guida, center, after she hit a homerun during the fourth inning of a non-conference softball game against Larkin Friday afternoon, March 23, 2018, at Larkin High School in Elgin. 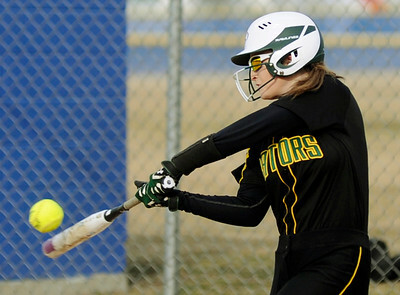 Gregory Shaver for Shaw Media Crystal Lake South's Christina Toniolo hits a homerun during the fourth inning of a non-conference softball game against Larkin Friday afternoon, March 23, 2018, at Larkin High School in Elgin. 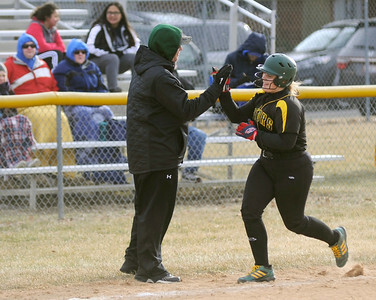 Gregory Shaver for Shaw Media Crystal Lake South's Alyssa Niketopoulos hives fives her coach as she rounds the bases after hitting a homerun during the fourth inning of a non-conference softball game against Larkin Friday afternoon, March 23, 2018, at Larkin High School in Elgin.